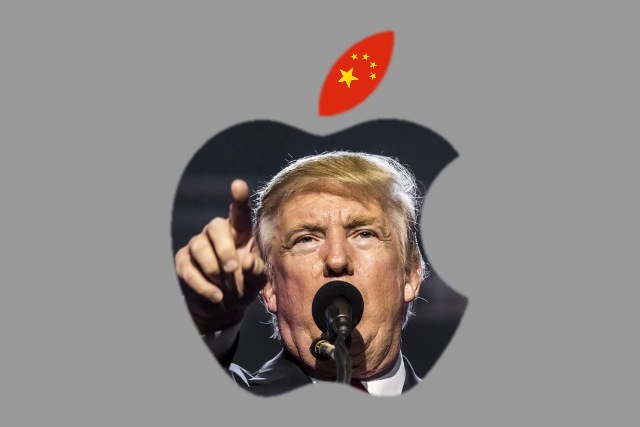 President Trump proposed tariffs on $200 billion worth of Chinese products -- and there is the threat of a further $267 billion-- has caused Apple to write to the US Trade Representative to point out that this would lead to increased productions costs for many of its products. Responding to this, Trump said that the company could avoid Chinese import tariffs by switching production to the US. Referring to his suggestion as "exciting", the president said that Apple should start building new factories in America. Trump's suggestion of tariffs is just the latest attack in the trade war between the US and China, and there is the possibility of a further $267 billion tariff package also being imposed on Chinese goods. The initial $200 billion could come into force in the next few days, but it's not clear when the second batch is lined up for. The proposed tariff list covers a wide range of Apple products and the products used in our US operations: Apple digital health and wireless connectivity products, including Apple Watch, Apple Pencil and Air Pods; Apple computing tools such as MacMini; Apple adapters, cables and chargers engineered for efficiency and safety; Apple-designed components and made-to-specification tooling for Apple's US manufacturing and product repair facilities; specialty testing equipment for Apple's US product development labs; and servers, hard drives and cables for Apple's US data centers that support our global services such as the App Store. Because all tariffs ultimately show up as a tax on U.S. consumers, they will increase the cost of Apple products that our customers have come to rely on in their daily lives. For example, the proposed tariffs cover Apple Watch, which has become the top-selling smart-watch in the U.S. and globally. The first batch of proposed tariffs would not affect iPhone production, but if the second larger batch is introduced, mobile phone production would be hit.